I started listening to book podcasts on a fairly regular basis a few years ago. In an attempt to mitigate whining from my sister, who was missing her college artist community, I introduced her to a few book and writing related podcasts. Interestingly, a few months later she returned the favor by introducing me to Literay Disco. The hosts endeavor to read as wide a range of books, poems, and story songs as possible, and provide their candid insight on their biweekly podcast. I’ve previously read some of the books they’ve chosen, and have been warned off of reading others after their podcast review. 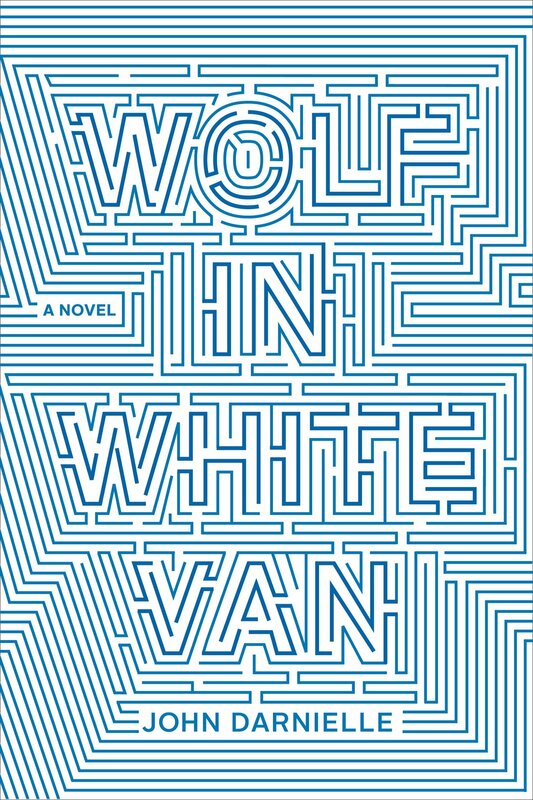 Many of the books they’ve mentioned have been added to a to-read list, but John Darnielle’s Wolf in White Van is the first book that I’ve specifically bought and read because of Literary Disco’s podcast review. Wolf in White Van is the story of Sean Phillips, a severely disfigured man who spends his time as a game designer for a mail-in version of a Dungeons and Dragons meets The Gunslinger type RPG called Trace Italian. The book is a non-chronological look at events in his life, and how Sean exists (or doesn’t) in both his real life and fantasy worlds after his disfigurement from a shooting accident. This book is much more about the use of language, and conceptual ideas than it is about the setting, character, or plot. The main character has many interesting thoughts and observations about the world he lives in, but we never really get a sense of his actual emotions. They can be filled in with the reader’s empathy, but they aren’t really provided as part of the description. Perhaps an important part of this causes the reader to examine themselves – how would they treat Sean in real life? Sean is constantly confronted with being different – his disfigurement causes him to remain on the outskirts of society, and he hides in his home where he works at sending replies to people who participate in his games. At one point he is confronted by a child who asks point blank, “What happened to your face?” The reader is left wondering if this frank, blunt approach is any less painful than the way that the adults in the novel try to look away from Sean, or the way that his parents try to pretend the he, and his accident, don’t really exist. One of the driving forces of the novel is the fact that Sean is sued by parents of gamers whose children attempted to live out the events of their Trace Italian adventure, and ended up dead or dying because of it. This is an interesting nod to the D&D Satanism scare of the 1980s, with the adults in the novel attempting to blame every bad thing that happens on fantasy worlds and games of make-believe, yet still failing to face the reality of their own situations anyway, while Sean manages to find deeper connections to players he never meets than he does to people he interacts with in the real world. Despite the RPG backdrop and interesting themes, this is a book that I found myself appreciating more than enjoying. On an intellectual level, I admire the use of language, and I appreciate the themes that ran through the book. But I never really found myself loving this book. It is beautiful, in a way, but it is also disturbing and occasionally (slightly) boring. The structure of the book almost makes it seem like the purpose of the story is to figure out why Sean’s accident occurred, but, once you get to the end it becomes apparent that that really wasn’t the point of the book at all. The story meanders through Sean’s life the way some of the players meander through his game – seemingly with purpose, but never really reaching an ultimate goal. I almost feel as though I need to re-read it to fully appreciate the craftsmanship of its construction and use of language, yet I feel no actual desire to revisit this character or this world. Perhaps this is the sort of book that needs a lot of breathing room between reads. As far as my recommendations go, I think this is the sort of book that will either be loved or hated by a reader. I’ve seen this recommended as “literature for a genre nerd” because of the RPG backdrop, but I don’t know if that connection will be enough to carry a reader through this novel. Genre readers typically enjoy a book with complex world-building, a dynamic plot, and enjoyable characters. Considering that a notable portion of the story consisted of Sean contemplating ceiling tiles, I can’t say that Wolf in White Van had any of these things. Though I also don’t know that it matters. I think this book accomplishes what it was trying to achieve, and I think it does it very well. I don’t think it is going to convert genre-loving folks over to the literary side, but I suppose it might. I think it is just as likely to leave them wishing for weighty text on dragon flights or warp drives. In either case, I think this is the sort of a novel that a reader needs to experience for themselves before deciding how well they like it. Personally, I’m glad I read it, even if it wasn’t exactly a fun book to read. I can’t say that it will have the same impact on another reader though. I think readers who tend to favor a book for its use of language will rather enjoy Wolf in White Van, while readers who are more interested in character and plot may not. It is the sort of book I would encourage people to try, not because I expect everyone will like it, but because I think it would be a good novel for expanding literary horizons.